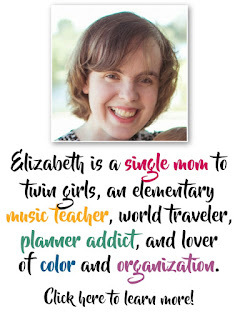 December is a crazy time of year for music teachers, and often our curriculum gets swallowed up by preparations for concerts, caroling, sing-alongs, and other holiday music. Besides being frustrating for us teachers who feel like meaningful learning has been put on hold, it can get pretty monotonous for the kids to sing the same songs over and over again as they prepare for their performance. Today I have some ideas to continue developing musical skills and concepts (besides performing!) AND change things up to keep kids more engaged while preparing concert/ holiday music. I generally save my main focus on dynamics and tempo for this time of year. It's such a simple way to practice the same song over and over again- just change the volume or speed! I tie this in with a focus on vocabulary as well. Write all of the dynamics words they should know (old and new) on the board, then point to different ones during the song and have them switch their dynamics accordingly. Of course I have students come up and point as well. I've also used individual signs, with one word on each sign and holding up different ones, but I like putting them all up on the board better because then the students are seeing all of them all the time and get more time to look at each word. I do the same thing with tempo words, and I've even done it with articulation. One memorization trick my piano teachers used to use in my piano lessons growing up was to have me perform sections of the song in mixed-up order. The same trick can work for concert music too, so this is especially great for songs that the students are trying to memorize. 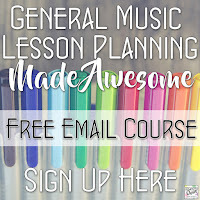 I incorporate a study of form into my lessons this time of year by discussing the different parts of a song (a verse and a chorus, or 2 verses and a chorus, an A and a B section, etc) and then arranging them into a different order to create whatever form they are learning about that year. For example, if they're learning about ABA form, then I'll have them sing the song in verse-chorus-verse order. This works even if you don't have the right number of sections in the concert music! If there are more sections in the original song than in the form they're studying, I'll have the students pick out however many sections they need and assign a letter to each one (the 2nd verse will be our A section etc), or I'll pick out the sections they are struggling with the most and use this opportunity to get some extra practice on those parts. If the original song doesn't have enough sections for the form, I'll either combine two (or more) songs, or create (myself or with the class) additional sections to create a "mashup". They love it! Sidenote: this works even better if you have different movements to go with each section- it could be as simple as walk on the beat for A and tiptoe for B. They seem to understand the concept of form much better when they change their movements for each section. Another great way to change things up is to have the students create a new arrangement of the song. This could be as simple as adding a rhythmic ostinato, or selecting expressive elements (dynamics, tempo, articulation, timbre etc) for their performance. I like to show an example of arranging (this post has some videos I show of different arrangements of the Sugarplum Fairy) first and then have them create their own arrangements in small groups to perform for the class. My 6th graders study careers in music, and this is a great time to have them experience some of the ones that relate to performances- sound engineer, publicity, producer, conductor, performer, etc. I have also done this lesson in those extra classes that you have after a big concert, when you're too tired to come up with a lesson.... ;) Talk with the students about all of the different elements that go into putting together a concert, and all of the tasks that need to get done, and discuss what kind of people are in charge of those tasks for a professional performance. 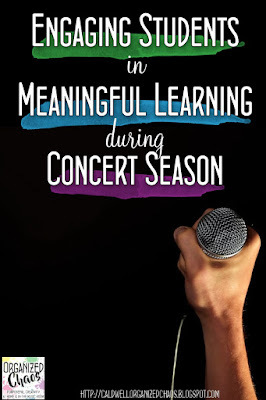 Assign different students to each job and have them put together a mini-concert, using the same music they'll be performing at the concert, in class. You could also have them actually do the tasks to help you prepare for the actual concert if you start the lesson far enough in advance! 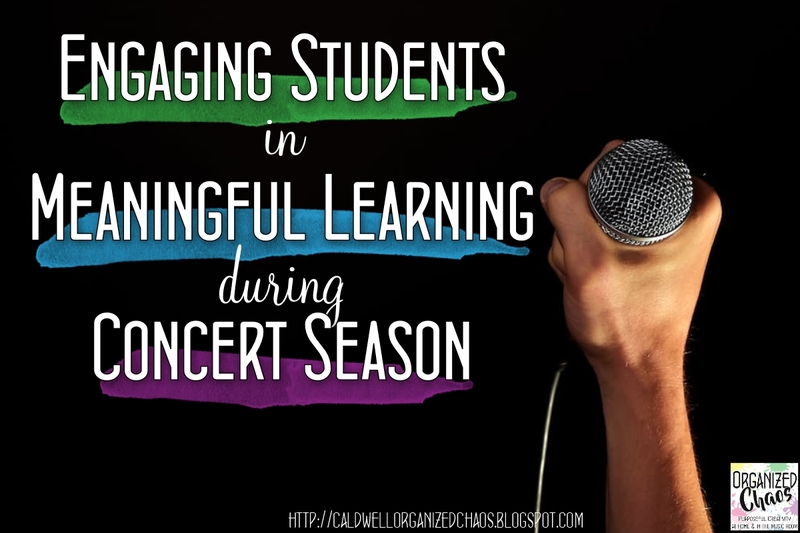 How do you keep students engaged and learning when you're in the thick of performance season? Have you used any of these ideas in your classes? If you try them out this month, or if you have other ideas, I'd love to hear about it! Leave a comment down below. Thanks for reading and best wishes on the remainder of this crazy time of year! Want more? Join the family! Click here to sign up for the Organized Chaos newsletter and get more ideas and resources sent straight to your inbox! Yeah, the older they are the more they can actually help with larger tasks for the production itself!